Electra Beachfront Villa is located on the Greek Riviera by prestigious Porto Heli in Argolida and provides a truly outstanding level of accommodation for up to 16 guests. A range of optional 5-star services, amenities, all year round themed holiday options and a new hard surface tennis court in the Villa’s private grounds ensures your group holiday will exceed the most discerning standards. The property is located right in front of a beautiful sandy bay with calm gulf waters. The gentle descent of the beach into the sea provides a beachside plateau of shallow crystal waters allowing all ages and abilities to enjoy the sea. Whether you value privacy, wellbeing, sports, luxury, independence, gastronomy or hospitality, it’s all here for you at Electra Beachfront Villa. This stylish 400 m2 Villa accommodating up to 16 guests, and flexible for smaller groups, has been constructed in traditional Peloponnese architectural style. With breathtaking sea views, 7 large bedrooms, 4 bathrooms (including 1 ensuite), 2 reception rooms and a large open plan kitchen / breakfast room it has a delightfully comfortable and spacious feel. It is tastefully decorated and furnished throughout in contemporary style with maritime details, and is set in a generous 6000 m2 of private terraced and lawned gardens. With many activities and excursions available for your group, a new tennis court and the stunning beachfront environment, we offer you the ultimate setting for summer or for any season. With so much to do you can spend your time in your own private paradise of the villa and local beach, visit adjacent Porto Heli or even go to cosmopolitan Spetses island just 7 minutes from Costa by water taxi. Add to this our exciting range of Services, Excursions and Package holiday themes and your family and friends can tailor-make the holiday of your dreams, forging together memories to last a lifetime. Electra Beachfront Villa is located by Koilada Village near to Porto Heli and offers you all the charm of a substantial and refined beachfront residence. With a sunny exposition, shaded terracing, lush mature gardens and a sunset orientation toward the mountains of Tripoli there are really no limitations to your comfort and delight. To ensure you benefit from every unforgettable moment Electra Beachfront Villa comes fully equipped and includes daily full service housekeeping and optional meal preparation by our dedicated team. 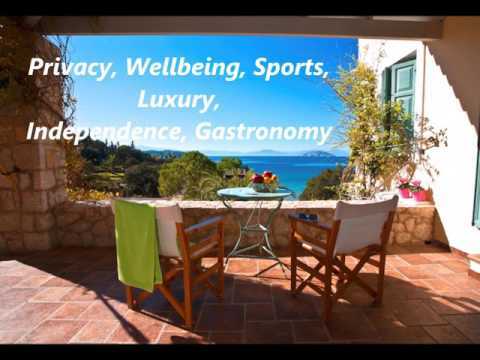 – Local Excursions: Porto Heli, Spetses, Hydra, Nafplio, Epidavros. Utilities: Outdoor BBQ, Cooker/Oven, Refrigerator, Kettle, Toaster, Coffee maker, Hair Dryers. - 20 % Advanced Payment upon Booking and the balance of 80% to be paid 45 days before Arrival (credit card, paypal, bank transfer, cash). - Advanced Payment is Non-Refundable if cancelled less than 45 days before arrival. - Advanced Payment is Fully-Refundable if cancelled more than 45 days before arrival.